Brazil’s leading BJJ media Tatame magazine made a very interesting article about the biggest rivalries in the Gracie Family, which was translated by Gabriel Cunha. The article attempts to expose some of the historical manipulations done by some members of the Gracie family over the years. In the article, it is stipulated that Geo Omori who was one of the Japanese pioneers in Brazil (who trained with Maeda), had claimed that Carlos Gracie didn’t learn directly from Mitsuyo Maeda. Another interesting fact was that George Gracie was a much better fighter than his brothers Carlos or Helio. 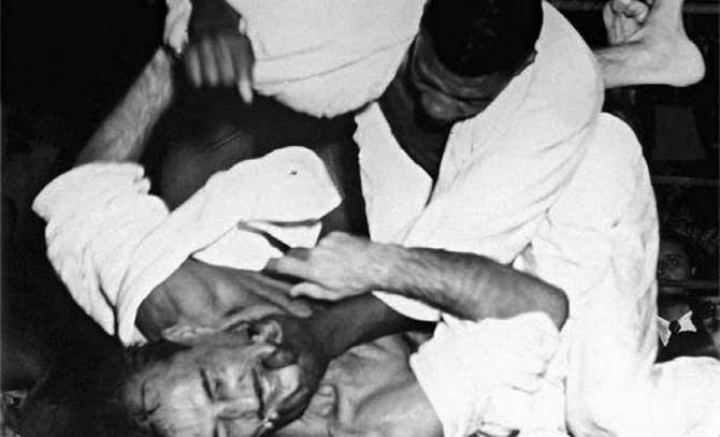 The article also alleges that Helio Gracie cheated his way into beating Kimura’s training partner Kato. Similar things are said in the book ‘Choque’ written by Roberto Pedreira which recounts what really happened according to archives of Brazilian newspapers over 100 years ago. This version is of course highly different the official Gracie version, which can be read in Kid Peligro’s book ‘The Gracie Way’. These are the battles that we are going be talking about, with many battles envolving Helio Gracie, responsible – together with his brother Carlos Gracie – for the popularization of Jiu-Jitsu in Brazil and for idealizing Gracie Jiu-Jitsu, known world wide. Geo Omori was a japanese judoka that had gotten known as “the king of mixed martial arts” during the early years when vale-tudo was arriving to Brazil. Back then, Geo said that Carlos Gracie – considered the creator of the BJJ system and the first to start the process that would make the Gracie family known world wide – was not instructed by Maeda, and if he actually was it happened for a short period of time. Omori taught Judo/Jiu-Jitsu since 1909 in Brazil and was one of the instructors of Luiz França, that after taught Oswaldo Fadda (responsible to take Jiu-Jitsu to the Rio de Janeiro suburbs). During his career, Geo took place in several fights against the Gracie brothers. 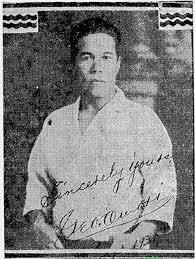 First Omori had a draw against Carlos Gracie. The same thing happened against Helio. Then Geo Omori fought George Gracie, who achieved victory after 10 rounds. Omori died in 1938. 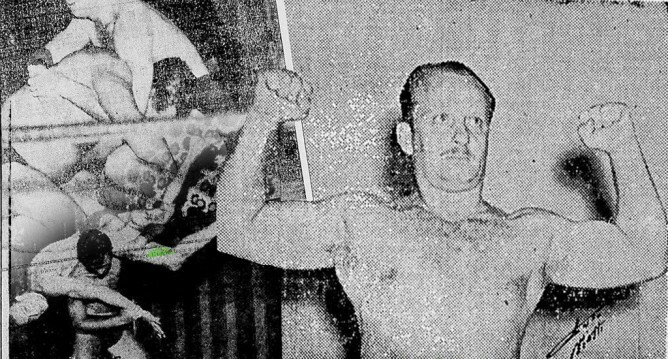 Unknown by many BJJ practitioners, George Gracie was one of the first to dominate what we call nowadays Brazilian Jiu-Jitsu, by easily absorbing and applying the techniques taught. George Gracie also wasn’t against learning other fighting styles, like Luta Livre. One of the reasons for his arguments with his brother Carlos was the fact that he completely ignored the “Gracie diet”, since he didn’t believe the concepts applied by his brother and by not believing it could bring any actual benefits. This upset Carlos a lot since he thought George should have focused exclusively on Jiu-Jitsu. After these problems between the brothers, George replaced Carlos as his manager saying Carlos was taking too big of a share of his money as his coach while Carlos said that George wasn’t anymore a representative of the Gracie family’s tradition. George kept fighting and teaching Jiu-Jitsu all around Brazil even after the argument with his brother. Later on they came back to having good relations once more. George Gracie was the most talented fighter among the Gracie brothers. Helio, on the other hand, was more loyal to Carlos. When George left the family, Helio started to guide the tradition left by Carlos. Years later in 1936 a promoter offered money for both brothers to fight. George accepted but Helio refused it. Helio kept fighting against other athletes but never accepted fighting George, that later on would open many Jiu-Jitsu academies in several areas, including Rio de Janeiro, using the name Gracie. The fact upset Carlos and Helio a lot. Oswaldo Fadda was a student of Luiz França, who was a pupil of Maeda, as well as Geo Omori. Oswaldo, after being considered the best pupil of Luiz, decided to teach Jiu-Jitsu to the poor people in the suburbs of Rio de Janeiro. Some years later, due some arguments, Fadda challenged the Helio Gracie Academy, which accepted. Oswaldo’s students won 19 out of 20 fights, several times using leg-locks. Depending on who you ask, Helio was also defeated by Oswaldo. From then on after this challenge, each team would start to teach its respective BJJ styles. During the 50’s Helio said “All you need is a Fadda to show Jiu-Jitsu isn’t a privilege of the Gracies”. It was due these attacks of Fadda’s students to the legs of Helio’s students that later on some of these locks were forbidden in BJJ. Helio sent a challenge to some Japanese judokas which included Yamaguchi, Kato and Kimura. Yukio Kato, 5th degree black belt was the first. In september of 1951 happened the first fight of the athletes, which was very tough and ended in a draw after three rounds. Helio demanded another fight which happened three weeks later in 29 of september 1951. At the second match, which lasted several minutes, a key element happened: Kato had applied several takedowns and tried to submit Helio. Both fighters were at the end of the ring, which made the referee ask the match to stop to drag the fighters to the center. During this time, Helio applied a choke and Kato passed out. The infraction wasn’t counted and Helio was declared the winner. Kimura was a several times judo champion in Japan, though already retired, who went to Brazil as part of a mission to spread Judo around the globe. Then Helio challenged him to show his talents after defeating Kato which happened after the previous draw. The Gracie tried to intimidate his opponent by bringing a coffin to the arena. Back then it was said that the Gracies knew that even retired Kimura was a dangerous opponent to Helio, still without much experience. So according to this, they chose to set softer mats on the arena to make it easier on him due to the tough Kimura’s takedowns. At the end Kimura beat Helio using the submission which takes his own name. Waldemar Santana was a Capoeira fighter who worked as a janitor at the Gracie academy and ended up becoming a student and later on an instructor at the academy. Years later, after a long time with the Gracies, Waldemar was invited to fight on a competition which was sponsored by a famous chain of stores back then. However Helio didn’t authorise him to take part in the competition and consequently they parted ways. Not happy with the fact, Waldemar challenged the Gracie to a vale-tudo fight. At the occasion both fighters entered the arena wearing the gi, even though the fight wasn’t on the rules of Jiu-Jitsu. During the fight that lasted almost 1 hour, Waldemar punished Helio inside the guard, who resisted for a very long time. Helio started to get tired and Waldemar using that – he was almost 20 years younger than his opponent and 30kg heavier – had the superiority and knocked Helio out. History says that Carlson challenged Waldemar after he defeated Helio. The idea of the Gracie family was to organize a vale-tudo between both fighters, but the local authorities based on the previous fight between Helio and Waldemar didn’t approve the idea, so it was organised on Jiu-Jitsu rules in 1995 at the Maracanãzinho gymnasium. There was no winner during the first confrontation. Carlson, even though more technical, couldn’t overcome Waldemar’s better physical condition and after 5 rounds of 10 minutes each, a draw was decided. A year later, now by the vale-tudo rules, Carlson was better, defeating his opponent by a technical knockout. Both fighter came to fight again in another 3 occasions, with 2 draws and another victory for Carlson.